Are you interested in improving one or more business processes, but with tools that are truly flexible, inexpensive and reliable? Do the solutions that you are aware of or are considering seem rigid or appear complicated and expensive? We think that EcosAgile is the solution you've been looking for. EcosAgile consists of a suite of high-quality modules/products that can meet your most stringent functional requirements and evolve and adapt to specific contexts with unparalleled simplicity. Each feature can be activated individually or in conjunction with others based on your requirements and/or schedule and can be completely customized without limitations or implications during release upgrades. 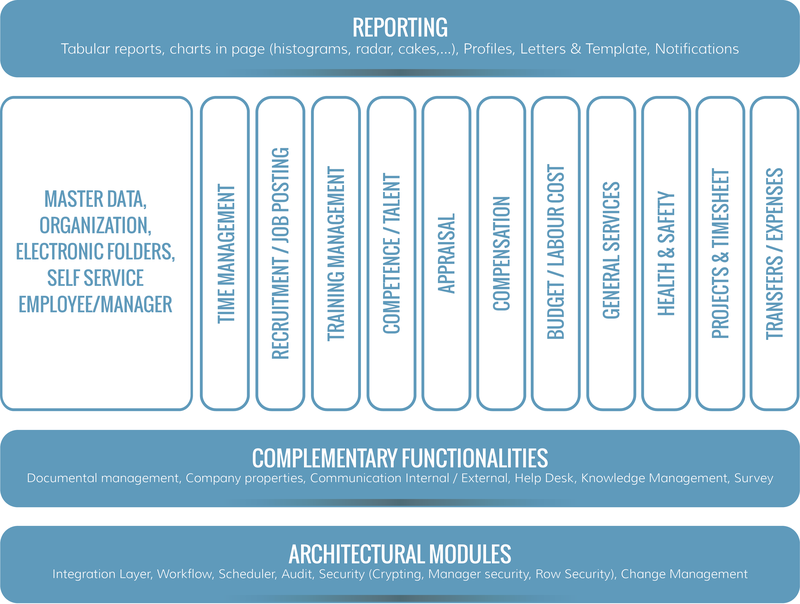 EcosAgile provides total functional coverage of all the HR processes and numerous vertical processes such as safety and occupational medicine, leave planning, project management, company assets, workflow and documentation, CRM, etc., and above all, it can adapt to specific contexts with truly unique versatility and simplicity. 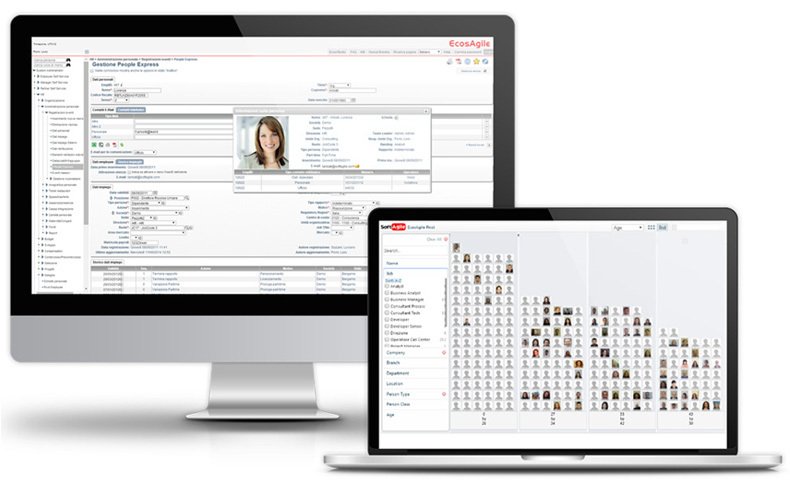 Through simple parametric descriptions of processes, EcosAgile implements the logic – whether this involves new workflows, different information overviews, integration of new information or rules or the addition or modification of entire sections; simplicity that allows you to lower project and management costs, and achieve full customer satisfaction with costs and times that have never before been possible. The standard package processes are very detailed, fand are the result of the synthesis of extensive experience and active collaboration with the principal communities and relevant schools of thought. This product was designed for integration from day one, with all the managed processes benefiting from single master data context, without any duplication or information redundancy, with a total guarantee of coherency and uniqueness of data. It was designed in all its facets to be intuitive, easy to learn and apply, even in Self Service processes thanks to a linear and logical navigation design that reduces the cost and time of learning and allows for easy dissemination throughout the company. EcosAgile is able to integrate easily with client enterprise applications and, when required, can take on the role of a veritable integration and data consolidation hub; this means the product can be used as an aggregator of information and/or as an extension of the existing set of vertical corporate applications. The information can be represented in many different ways and the system can accommodate on-line queries and dashboards, charts which can be queried in any context, pivot charts, etc. All the information can be appended with notifications and timetables, alert mail, sms and/or configurable events. Embedded in the context of the pages and the various processes are call-up routines for summary and graphic depictions, KPI and reports which can all be directly queried on-line.